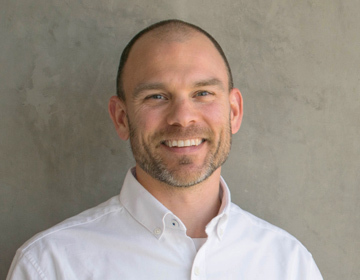 Bryce Tolene brings 17 years of architectural experience in higher education and K-12 project types. He is involved from the initial conception of projects through design review, permitting, pricing and construction, bringing valuable knowledge at every stage of design and project coordination. His well-rounded and attention to detail makes him an expert in exterior envelope detailing. Prior to relocating to Portland, Bryce worked at another design firm in Chicago for 10 years, where his work focused primarily in the higher education sector. He has served as the project architect on a range of projects, from a 20,000 SF Nanoscience Lab to a 1.2 million SF Biomedical Research Tower. Bryce earned a Bachelor of Architecture from Ball State University. He is a licensed architect in the State of Illinois and is currently working towards accreditation in Oregon. If he isn’t organizing a project he can be found running trail races all around the Pacific Northwest.